I scream, you scream, we all scream for free ice cream! Head to Ben & Jerry’s to celebrate their annual Free Cone Day, and you won't be screaming any longer. Ben & Jerry’s is celebrating you, their loyal fans, by showing just how much you mean to them. On Tuesday, April 9, you can visit a Ben & Jerry’s Scoop Shop and receive a free scoop of ice cream between noon and 8 p.m. Known as Free Cone Day, this annual event has been happening since 1979. First started in Burlington, Vermont, when Ben & Jerry’s operated out of a renovated gas station, Free Cone Day began as a way to thank everyone for all their love and support. In 1988, all Ben & Jerry’s stores in Vermont celebrated the event, and in 1993, it spread to every single Scoop Shop in the United States. 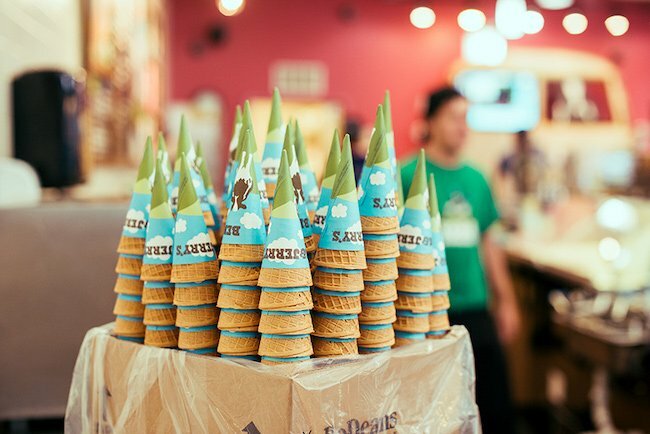 Become a part of history and join Ben & Jerry’s as it celebrates Free Cone Day. You can head to their website to find the nearest participating store and enjoy a delicious frozen treat. Let us know if you will be attending Ben & Jerry’s Free Cone Day and share some pictures of your cone with the hashtag #freeconeday! Share the love, share the memories, and share some ice cream. For a limited time, Dunkin' Donuts is offering marshmallow-flavored coffee and Peeps donuts! Learn more about it here!